You’ve just planted some new trees to enhance your landscape. In order for them to reach their fullest and most beautiful potential, you’ll need to be very careful about how you water them. The roots of your trees likely came in the form of a soil ball. Until the trees are able to establish regular roots in its new soil environment, it is critical to keep the ball moist. Generally, the safest and most effective approach for getting a new tree through the first year–and especially the first summer–is to irrigate regularly by dripping a known quantity of water slowly into the original root ball. To keep a 24-inch root ball moist not saturated during drought conditions of the kind Texas is currently experiencing will require you to moisten that ball with two or three gallons of water every four to five days. The simplest way to meet these needs is to poke a few nail holes in the sides a five-gallon bucket near the bottom, set the bucket next to the trunk and fill it with water every few days. The more sophisticated way to do it is to insert two or three one-gallon-per-hour drip emitters which are attached to a length of plastic tubing and with a special fitting, to your hose. This can be attached to an inexpensive, electronic, battery-operated timer programmed to turn the water off after one or two hours. Check with the nursery where you bought your trees to see if they sell drip irrigation kits that you can use or adapt for this purpose. A good way to gauge whether or not you are giving your new trees the right amount of water is to probe the soil ball with a metal rod. If you are unable to push the rod easily more than a few inches into the ball, you’re not applying enough water. If the rod slides easily all the way through the ball, you’re more than likely overwatering your plants. Call South Austin Irrigation at (512) 534-7449 to find out more about irrigation for you. Texas can get very hot and it’s also prone to drought: 2011 was one of the driest years on record in the state. Climate issues like these can make it both difficult and expensive for people to maintain traditional landscapes. If you are thinking about your lawn-and-garden options, then perhaps you should consider xeriscaping. The word itself is a compound of the Greek word xeros meaning dry and “-scape.” The term was coined by the Denver Water Department in 1981 to refer to a landscape design that has been carefully tailored to withstand drought conditions. 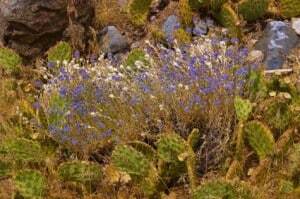 In xeriscaping, landscapers group plants with similar water requirements for more efficient watering. 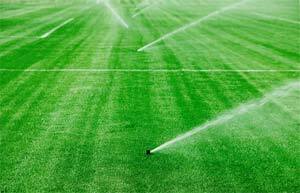 They also tend to avoid using turf grass because of the amount of water needed to maintain it. Not all practitioners of xeriscape landscaping completely eliminate lawns, however. Some simply switch to lawn grasses that demand less water. Others will relegate the lawn area to an accent on the landscape rather than maintaining it as the dominant element. Less lawn to work with means that other elements will take precedence in a landscape. In the Southwestern deserts, cacti, gravel and extended patios tend to dominate. An extended patio is just an enlarged patio that takes up space where turf grass would otherwise be planted. In regions like the Austin area that are dry but not quite as arid, ground covers, shrubs and mulches may take over for traditional lawns. Xeriscape landscapes have a number of benefits. Not only do they present fewer upkeep issues, they are also cheaper to maintain and help with water conservation. You water, mulch and fertilize your garden regularly. But somehow, one or two of your trees die every year and you can never figure out why. Is it you? The environment? Something else? 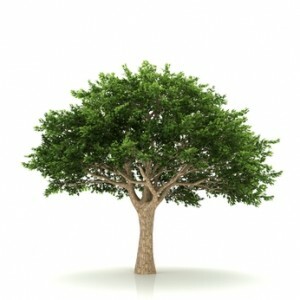 If your trees are not native or adapted to Central Texas, they will likely not survive the long, hot summers, the occasional cold winter and the alkaline soil. As a result, they will also be much more prone to insect infestations, diseases and/or leaf-drop. Young trees are especially susceptible to damage during transportation and planting. The bark is tender enough that if it’s damaged, the vulnerable vascular system could get exposed. If that happens, the tree will die because it will lose its ability to transport water and nutrients from the roots to the stems and leaves. Container-grown trees need watering every day until they get planted or their roots will dry out. This is especially true during the hot days of summer. And when trees leave the nursery, they need to be covered. If they aren’t, the wind will dehydrate the leaves and small limbs, which will traumatize the tree and possibly cause it to shed its leaves later. Trees should not be planted too deeply into the ground. As a good rule of thumb, the hole should be as deep as the root ball is tall and about twice as wide. After the tree is in the ground, it should be covered with the original soil and a layer of bark mulch right up to (but not touching) the trunk. The most common reason why trees die in Central Texas is that they get over (or under) watered within the first year-and-half of the day they were planted. Trees need at least 18 months to get established so they can survive extremes of temperature. During this critical window of time, it’s wise to test the soil around newly planted trees to make sure the roots are getting what they need. South Austin Irrigation is here to help you keep your lawn and garden looking good no matter the season. If you’re looking to upgrade/repair your irrigation system, contact us today! Call South Austin Irrigation at (512) 534-7449 to find out how we can help you with your irrigation system. 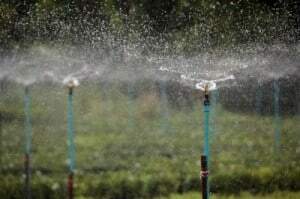 Though there is drought, watering a lawn is possible, particularly with a properly set-up and maintained irrigation system. 2011 has been a year of fires and record-setting drought all over Texas. Currently, 70% of the state is experiencing what climatologists are calling exceptionally dry conditions: this has meant hardship for ranchers and farmers and water restrictions for many Texas cities and counties. If water restrictions are not already in place, water winter lawns every fifth day and summer lawns every third day. Use sprinklers that cast large droplets close to the ground to water large areas of grass. For smaller areas, water by hand to avoid waste. Do all watering early in the morning when temperatures are cooler and the winds lighter. Install a rain shut-off device on automatic sprinkler systems to eliminate unnecessary watering. Adjust lawnmower settings so that cut grass is longer rather than shorter. This way, root systems will receive more shade and your lawn will hold more moisture. Water only as rapidly as the soil can absorb water. Focus on watering more deeply and less frequently. Weed lawns and gardens regularly: weeds compete with other vegetation for water, light and nutrients. Sweep driveways or sidewalks to clean them. Hosing down these areas can use 80 gallons or more of water. Minimizing water usage in times of drought is everyone’s responsibility. South Austin Irrigation can help homeowners and businesses make adjustments, repairs or enhancements to sprinkler systems that save water and money and conserve one of the state’s most precious resources. To find out how our irrigation system experts can help you, call (512) 534-7449. Texas produces the most wind power of any state in the union. While this form of energy is as clean as it is green, the wind that produces it can wreak havoc on your irrigation system. Even the gentlest breeze will blow around droplets from most sprinklers causing an unnecessary waste of water. Because wind is a fact of life in the Lone Star State, the best advice is to avoid indiscriminate use of irrigation systems that spray water into the air. Drip systems work especially well because emmiters release water directly into the soil. Underground or subsurface drip systems are great for lawns but are also more expensive than sprinklers and require special maintenance procedures. Bubblers are also another great option. Like drip systems, bubblers release water directly at soil level. These devices work by flooding small patches of ground with water. You should not use them for lawns however because they, unlike drip system emitters, will release water faster than the soil can absorb it. Install them on flat ground where the water and spread out evenly and avoid putting them on slopes where the water will flow downhill away from your irrigation targets. Another way to handle wind problems is by carefully considering how you will landscape–or re-landscape–a particular area. A good rule of thumb is to make sure that no lawns are adjacent to sidewalks, driveways, roads or anything else you don’t want to get wet. A typical lawn in an especially wind-prone area would best be designed to look something like a golf green surrounded by shrubs. Designing a lawn in this way would allow you to use sprinklers for the lawn and drip irrigation or bubblers for the shrubs. You can then adjust a sprinkler system to “harness” the wind. Make sure that those sprinklers facing up spray slightly backwards into the wind. That way, the wind blows the water back onto the lawn. Those sprinklers facing down should be adjusted in just the opposite way so that the wind will blow the water slightly downwind. If any water blows outside the lawn area then it doesn’t go to waste. South Austin Irrigation understands the special needs of Austin–and Texas–landscapers. When you have questions about the best, most cost-efficient ways to water your lawns, shrubs or gardens or need maintenance on your irrigation systems, contact us. We’re the water experts! Call South Austin Irrigation at (512) 534-7449 to find out more.